The holiday season comes with a lot of things: family visits, endless amounts of food, cooler weather, and in most cases… lots of stuff. Whether it’s specialty housewares, home decor, hanging lights, or one of the thousands of other season-specific items out there, once the holidays are done, it’s time to put those items away. Sure, you could just throw things haphazardly into boxes so you don’t have to worry about it until a year later, but we’d like to make another recommendation: don’t! 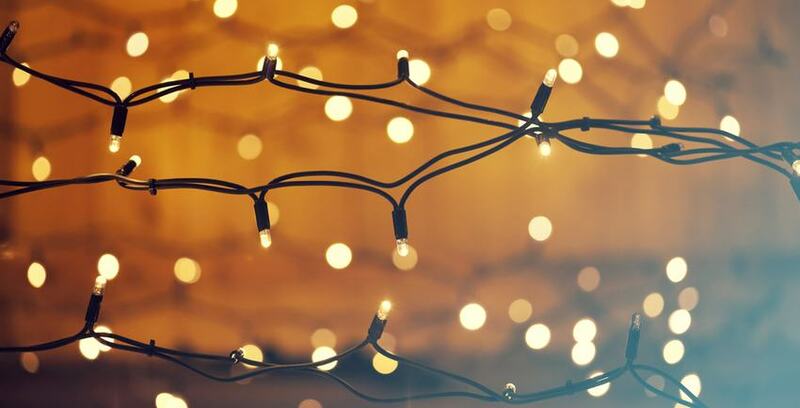 We’ve put together six great winter holiday storage tips, including how to keep impossible lights untangled, to help you spend less time digging through messes and more time actually enjoying this special time of year. No, really! Find some cardboard you have laying around (which shouldn't be hard with all the gift giving boxes you’ll probably accrue). Cut a number of 12" by 6" rectangles and then cut a notch out of one side big enough to hook the plug portion of the lights on. All you have to do now is start to wrap the lights around the cardboard until you're done. Once you’ve wrapped the lights, you can either tuck the end in or cut an additional notch to hook it into. Either way, your lights will stay organized and untangled for the next time you want to bring them out. Store bulb ornaments in empty egg or apple cartons. When you buy bulb ornaments at many stores, they come in big plastic containers stacked on top of one another. That’s fine when you first get them, but when you put them back in those plastic boxes you can never quite get them settled in the same way they were originally. Depending on the size of the bulbs, both empty egg and apple cartons are perfectly viable options for affordable storage that will keep the lights safe and organized. Garment bags are the perfect size for wrapping paper rolls, they’re easy to hang out of the way for storage, and a clear one allows you to see if you have the paper you’re looking for without having to dig endlessly through boxes or bags first. If you put up an artificial Christmas tree each year, you're already well aware of how much of a headache storing them can be. Did you know that they make rolling storage bags for artificial trees that allow you to just zip them up and scoot them out of the way when the season is over? They do, and we think they're pretty cool! A storage unit is a great solution for families that have a lot of holiday items to store each year. Enthusiasm for the happiest season of the year should be rewarded, and that’s why Storage Direct offers high quality, versatile, and accessible solutions for anyone looking for an alternative place to store their most important seasonal items. Happy holidays to you and yours from the team at Storage Direct!